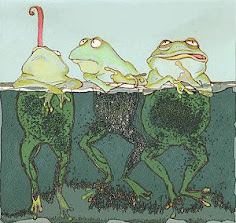 Bearing in mind that many of the faithful followers of Real Toads may be celebrating the start of 2012 this weekend, I have decided to take the idea of something NEW to another level. No, this is not a wordle prompt, though it does have a wordle graphic. This mini-challenge involves each of us, who would like to play, creating our own short form poem by devising the structure according to syllables, rhyme scheme, line length and/or stanzas. This is not as difficult as it may first seem. Even those of us who write in free verse tend to favor a kind of pattern; this challenge asks us to formulate our style, to a certain extent. There is a precedent for this exercise: you will remember our introduction to the 'stellar verse', namely The Pleiades form. This form inspired DR F.T.S.E. to invent his own 'stellar verse', which he named The Orion. Will you include a rhyme scheme? Will it be divided into stanzas? Any acrostic, or alphabet elements? I realize that I will have to put my money where my mouth is, so I have devised the following form, which I will call "Free Falling Verse". It relies solely on syllable count and division of stanzas: 5-8-7-6 (stanza 1, in which subject is introduced) 5-8-7-6-5-8-7-3 (stanza 2, containing main focus of figurative language) 5-8-7 (stanza 3, concluding thoughts on theme). Wish me luck in trying to write something to fit this scheme and I wish you luck in creating your own. Have fun trying something entirely NEW. The link will not expire, so please come back later in the week with your innovation. This is my first Friday Mary's Mixed Bag prompt; and I think I am going to enjoy this. I hope you will too. I love writing, and I love inspiring others to write. Let's have fun! "Ring out the Old, ring in the New." These are words from the poem "In Memoriam" by Alfred Lord Tennyson. The poem in its entirety can be found here: In Memoriam. 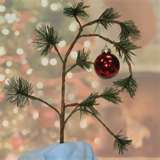 Think about what 'old' you would like to ring out or what 'old' you are sad to leave behind at the end of this year. Think about what 'new' you'd like to welcome into your life in 2012. What 'new' do you anticipate? 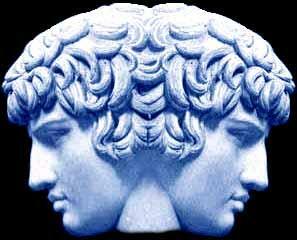 Think about yourself somewhat like the Roman two-faced god Janus who is associated with transitions, as he looks both forward and backward and for whom the month of January was named. What thoughts come to your mind as you stand on the border between 2011 and 2012, looking both at the past (old) and the future (new)? 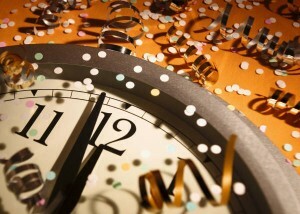 I will close with this quote by Bill Vaughan: "An optimist stays up until midnight to see the new year in. A pessimist stays up to make sure the old year leaves. " Food for thought, isn't it? I will visit each of your poems as you post the links, using Mr. Linky below. I also hope that each of you who posts a link will visit as many other links as possible, as we all love visits. Today we are traveling and learning a bit more about Mary Kling. We are escaping to one of the emerald islands, surrounded by calming, turquoise water. We are in Hawaii, on the island of Oahu. We are sitting in the front of the Royal Hawaiian Hotel, also known as the Pink Hotel. Mary n' I are having a Mai Tai, so grab your favorite drink(in Hawaiian that would be inu) and join us. It is sunset; you can see Diamond Head in the background. Listen you can hear faint guitar music strumming, "Somewhere Over The Rainbow". Mary is so refreshingly honest. I was curious to know more about her. Mary is a poet, retired teacher, a mother, grandmother, a Toad, a huge contributor to Poets United, and a member of an online writers' group, called Skywriters. I was a bit nervous, but Mary put me at ease. Ella: Mary I love the name of your blog, "In the Corner of My Eye". What place has had the most visual poetry and attracted the corner of your eye? Mary: That would be Hawaii. Any of the islands, my favorites would be Oahu and the Big Island. Ella: When I chose to interview you, I noticed a photo on your blog. You are walking, a favorite exercise of mine. The photo looks familiar, tell me about it. Mary: Yes, on my blog title page is a photo of me walking along the Alawai Canal. I just love walking around Waikiki. One can walk everywhere and I love that. 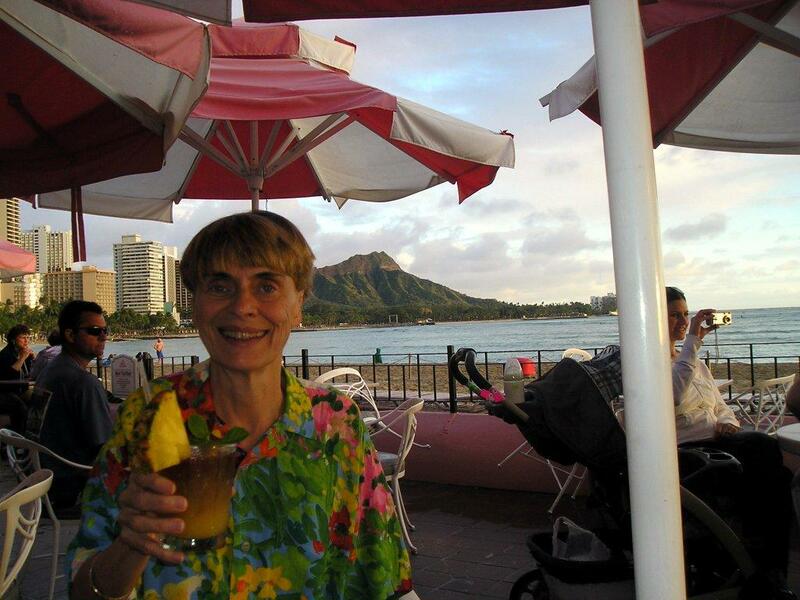 (Mary resides in Wisconsin, but I think her heart(pu'u wai) frequents Hawaii. Ella: You are a retired school teacher(kumu). I so admire your dedication to this field. Was it a calling? Mary: I like teaching very much. Both sixth and fourth grade. And yes, I think it was a calling. Oddly enough I always considered myself a 'shy' person. So, it was strange to me that I chose a profession, where I would have to speak in front of people every day. My theory about this was that I knew being 'out there' was difficult for me. I chose a profession where I would have to overcome this difficulty. And I did. Ella: You have done it beautifully. I admire you for being so brave. When do you think this all turned around for you? Mary: I gained more confidence with age. Sometimes I think youth is highly over-rated(chuckle). I also began at some point in my life to "Act as if..." and found out I really WAS. Gaining confidence for me, took a lot of self-talk, taking advantage of opportunities that were outside of my comfort zone. It still isn't easy. I realize that it is really not easy, for many people. As far as poetry goes, I have found the blogosphere extremely supportive. I think most of us realize what we blog may be an early draft to be revised in the future. Ella: Your poetry reads like a journal entry, raw and full of emotion. Has this always been your signature style? Mary: I really DO write for people who care about me and will care about my words, after I am no longer on this earth. I blog my words, but out of my blogged words will come poetry books. I will GIVE to those I care about. I have done two poetry books, already. I do think it is important for me, for all of us, to be sure our words are preserved. I think our words are out greatest legacy. Some may not realize our words' importance, while we are alive. Someday they will. 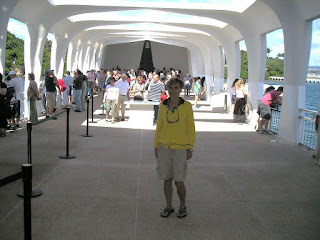 Hawaiian proverb: "I ka'olelo no ke ola"-in language there is life, in language there is death. Words have power. Ella: I love the idea of words being our legacy. What would you like readers to gain from your view of the world? Mary: I write poetry that is fairly easy to understand. I am not a poet who writes obscurity. Much of my poetry comes from my life. I hope my readers might find something they identify with. I hope that what I have written might trigger an experience, a memory or a feeling. If so the poem was a success. Ella: You had some of your student's poems published. How did this come about? Mary: I was teaching 6th grade at the time. I was working on my Master's Degree. I loved poetry. One of the professors at the university was writing a book, on encouraging children to write poetry. He asked me, if I could share some of my processes and the resulting poems with him. My Master's paper(not thesis) was on how to encourage children to write poetry. Thus, my name is listed on the book, as a contributor and a lot of my student's poems are included. Ella: How can we as adults channel a bit of our inner child? Mary: That is a good question; I think we have to throw away the censor, in order to become our inner child. Truly, for a long time I did not share my poetry with anyone. Then I shared it with my online writing group. I took a big leap of faith. Short answer: Be authentic, allow that authenticity to be known. Take the risk. Hawaii-paradise Teach-once a teacher, always one! Ella: Do you have a special place where you write poetry? Mary: My living room, by the fireplace. Warm and cozy! Ella: I am sure your online writers' group, Skywriters is thankful to have you, a teacher amongst them. What have your learned from them? Mary: My online group is very important to me. We have been together more than twelve years. When we first began, we ran it in a similar way my deceased partner's real life writing group was organized. It was she who organized a lot of how we operate today. Skywriters gives each other challenges each week and we critique one another's work. We have met in person, most often yearly and have had our own writers' retreats. Ella: I'm so jealous, sounds wonderful. Your partner was an amazing woman, so talented. Thank you for sharing so much with us! What advice do you have for aspiring poets? Mary: Find other poets that you like(published poets and/or poets in the blogosphere, and read, read their work. Write a poem, each day, even if it is a short one. The best way I have of activating my muse is forcing myself to sit there at my computer, until I write something, not allowing myself to make excuses for not writing. I would advise aspiring poets to give this a try. It sounds so very simple, but it works for me. I cut myself no slack. Ella: The header on your blog intrigues me: "Raise a glass, make a toast, know I'm not far away. As you look for me out of the corner of your eye or find me in your dreams, picture me with a smile and happy, know that we will meet again". Ahuhi ho is the closest word in the Hawaiian language that means good-bye. It means until we meet again. 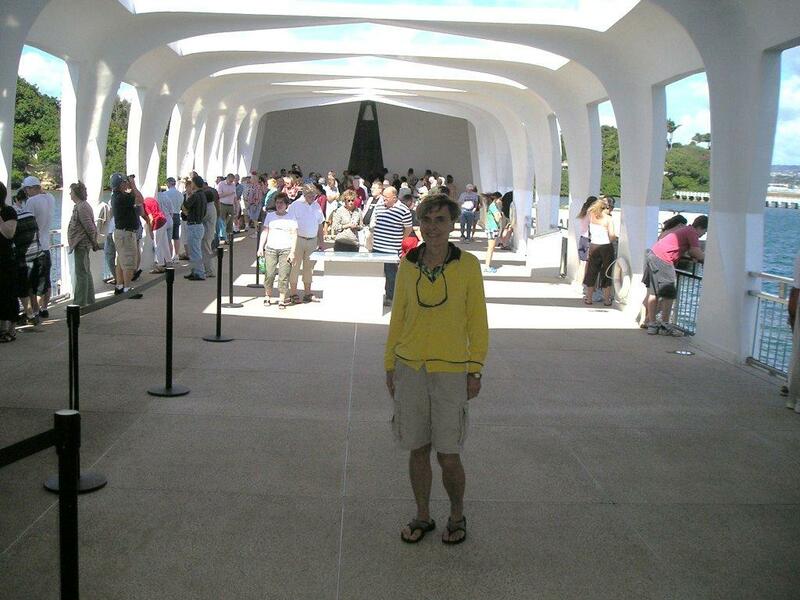 Ahuhi ho(until we meet again) Mary! Mary: Mahalo(Thank you) Ella, ahuhi ho. Ella: It was a pleasure to learn more about the spirit that encompasses Mary! Mary will be publishing another book in Feb 2012. Her next book will be called(she thinks) "Just as I am". I look forward to it. Mahalo Mary! Aloha Spirit Law: "Aloha means mutual regard and affection and extends warmth in caring, with no obligation in return". A65-7.5 of Hawaii Revised Statues. Hello there Toads! 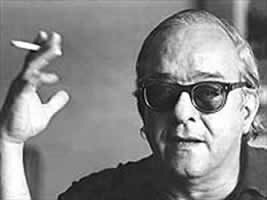 It's Kenia here with a new South American poet: Ladies and gentlemen, meet Vinícius de Moraes. 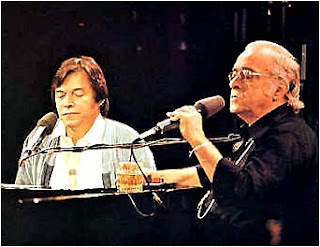 Vinícius was born in 1913, in Rio de Janeiro and besides a poet, he was also a playwright, a diplomat and a composer of Bossa Nova – many of his songs became all-time classics. I have prepared a special selection for your pleasure, you can click the link below to listen! Vinícius published his first collection of poems at the age of 19, in the beginning he wrote mainly free verse and blank verse, but after getting a scholarship to study literature at Oxford University, he abandoned the styles in favour of a poetical programme based on respect for traditional forms and extreme metrical accuracy, by excelling onwards in the handling of the rhymed, metrified sonnet. And upturned hands became astonished. And the still moment became drama. Suddenly, no more than suddenly. In 1958, Vinícius wrote an autobiography in 81 short verses where he said writing was his way to escape life's dangers, fears and torment. don't allow me to be sad. Vinícius wrote the lyrics for "Garota de Ipanema" ("The Girl from Ipanema"), a worldwide Bossa Nova hit in the mid-1960s that won a Grammy for Record of the Year in 1965. The song was inspired by a fifteen-year-old girl he watched to stroll past the popular Veloso bar-café in Copacabana, where he used to sit with his friends for drinks and conversation. Today's challenge consists of spending some time out (in a café, in a park...) or at the window (if you have a view) and observing a person. Describe him/her. Try to imagine the story behind that person. Build a narrative poem around him/her. 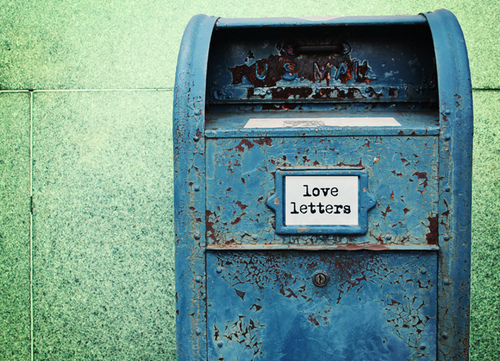 Either that or write your person a letter poem. 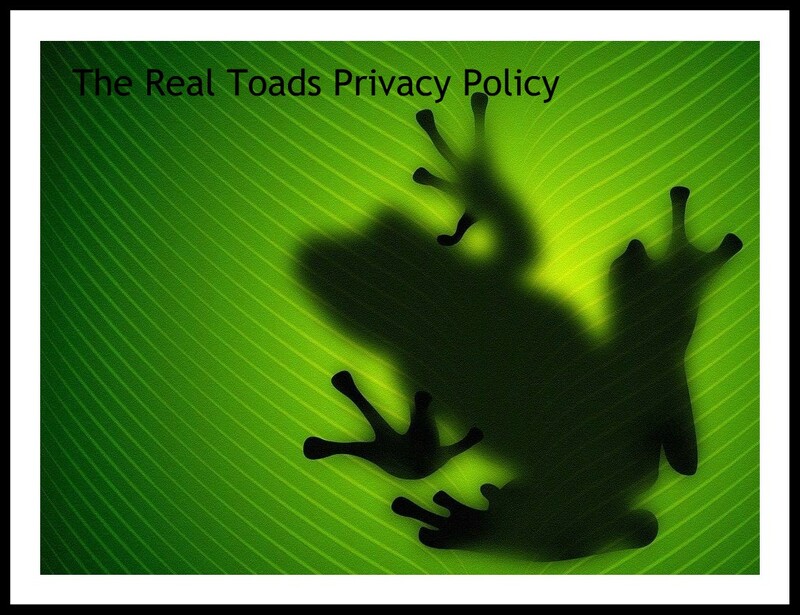 Link your poem, leave a comment and provide a link in your blog to Real Toads. Happy writing friends! Happy New Year! I am always happy to receive emails from the members of Real Toads, but the question of time zones presents a slight problem. 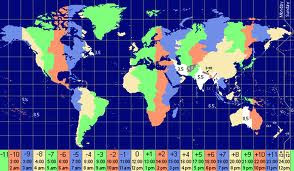 As I live in South Africa, my time is calculated thus: GMT +2 (SAST - South Africa Standard Time/ EET - Eastern Europe Time). Without daylight saving, I am 7 hours ahead of EST and 10 hours ahead of PST, in the United States. I am in the +2 column, two blocks up where the line intersects the East coast of Africa. What this means is that I often receive emails in the middle of the night. It does not trouble me (as I'm usually but not always asleep) but it might cause you some frustration as you wait for a reply, which probably arrives when you are asleep. The best time for those in the Western hemisphere to contact me is between 8AM and 3PM CST. For the sake of convenience, the time zone that Real Toads is set to is also CST. I find this Time Zone Map to be very useful. Since I am on vacation, my first thought was to go to a salon. Boxing Day is a bank or public holiday that occurs on December 26, or the first or second weekday after Christmas Day, depending on national or regional laws. It is observed in Australia, Canada, New Zealand, Great Britain, some other Commonwealth nations, and across most of the Province of Ulster in the north of Ireland but where observed in the Republic of Ireland, it is recognized as St. Stephen's Day. In South Africa, Boxing Day was renamed Day of Goodwill in 1994. The exact etymology of the term "boxing" is unclear and there are several competing theories, none of which is definitive. The tradition has long included giving money and other gifts to those who were needy and in service positions. The European tradition has been dated to the Middle Ages, but the exact origin is unknown and there are some claims that it goes back to the late Roman/early Christian era; metal boxes placed outside churches were used to collect special offerings tied to the Feast of Saint Stephen. 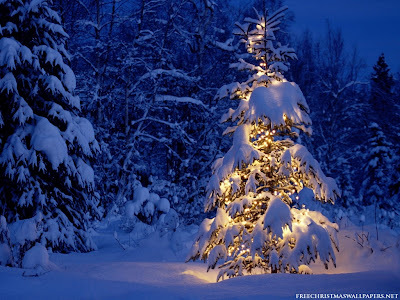 In the spirit of sharing on the day after Christmas, link up a poem, either old or new for our enjoyment. Please remember to support the work of the other poets who have linked their work alongside yours, by reading and responding to their work. These are the gifts freely given within the Real Toad community. 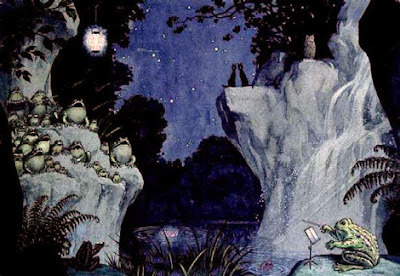 I am using this space today to extend my very heart-felt thanks to all who have made the imaginary garden with real toads the creative success it has become. I am thrilled daily by the unqualified support and generous interaction of all who visit the site and participate here on a regular basis. To the Members, a special word of appreciation for your continued contribution to this project. I knew that if I could harness the creative input of the amazing people I met through poetry blogs, a site like this would not only be possible - it would be a melting pot of the imagination. We all thank you for your hard work behind the scenes, which makes every day a new adventure. I have not provided a Mr Linky for today, but would love to read your messages of friendship, thanks or seasons greetings in the comment box. Thank you for taking the time to hop over to Imaginary Gardens with Real Toads during this busy season. I know it is precious to us all, so I will make this brief. In keeping with the joy of the season, I’d like you to include the word ecstasy in your poem. As you can see, it has a multitude of meanings. One more thing. I challenge you to write the piece in five minutes or less. Anyone can participate. All you have to do is write a piece with the word ECSTASY and post it on your blog. Then add it to Mr. Linky and leave a comment. Most importantly, visit others who have linked to this challenge. I can't wait to see everyone's contribution. 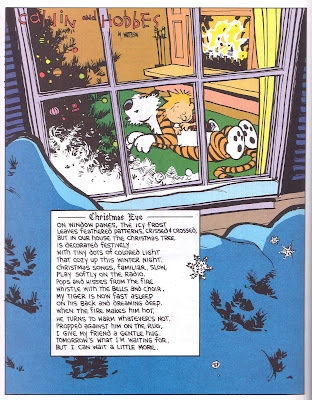 Blessings to all of you this joyous season. See you next year! *Definitions from the Merriem-Webster Dictionary. "Your shadow at morning striding behind you..."
Hello, everyone! Grace here. It's been a busy few weeks for me, but I've been thinking about aubades. An aubade is a morning song of parting, and it's a partner to the serenade, which is sung in the evening. 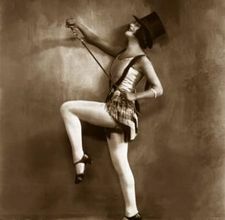 The aubade is one of my favorite things to write and read, so I have two brilliant examples for you today. They are well known, even being linked in the aubade's Wikipedia entry, and definitely deserve the attention. Our first example is by Phillip Larkin, and it's rather long, so I'll link rather than transcribe this time. You'll notice most poets opt to title their pieces simply "Aubade", which makes for a rather repetitive listing. Regardless, our next example comes from the fascinating Nuala Ni Dhomhnaill, translated from the Gaeilge by Michael Longley. The original can be found--and heard!--here. On the oystercatcher on tiptoe at low tide. On lilies and roses; on your bare shoulders. Not from cupped hands. It isn't the same at all. This is honestly one of my favorite poems ever, and I hope it speaks to you just a little in the way it speaks to me. Some aubades are bittersweet, some are yearning, and others are mere proddings to awake. They're written by musicians, even today, rock and pop artists carrying on a tradition popularized by troubadours centuries ago. Aubades have been written in every style, from Chaucer and Shakespeare to Margaret Atwood's "Morning in the Burned House". When Marian and I began this format challenge last summer, we practiced aubades as well. Hers, traditionally titled "aubade", can be found here; mine, "Ogun et Erzulie", here. Even more examples can be found on poets.org, including one by Carl Phillips and one by Thomas Merton. I've seen rhyme used to great effect, but there is no set rhyme or meter to this form, a nice change from our usual challenge. I'm looking forward to reading your entries all month, and into the next year. Please feel free to email me if you have any questions or suggestions, or catch me on Twitter if you're so inclined! Lolamouse challenged me to write something to my younger self. Okay, but she's not gonna listen! and your piercings are all gone. And, when someone calls you "mama"
they're not trying to turn you on. cause they want something to eat. Can you believe you got so square? a pretty corpse by twenty-five. and the living kept getting real. Seasons Greetings to all the members of Real Toads, and those who visit this site regularly! My wish for all is a wonderful week filled with the communal and family joys of Christmas time. In the spirit of giving and sharing, you are again invited to link your poetry to Monday Toads. Perhaps you have a message which you would like to express at this time of the year, an older piece with a theme that bears repetition or something you feel you need to say today. Please take some time to visit the blogs of those who have linked a poem alongside yours, as the support and kind words you leave behind are gifts enough to a poet. In this form Burns makes the first three lines rhyme with the fifth. The fourth and sixth lines become the second rhyming pair. This form is seen in his famous poem dedicated To a Mouse on Turning up her Nest With a Plough. I would not dictate the content of your own poem, but I would like to share an idea I came across while researching the Epistle Challenge. I discovered poetry of Rhina P. Espaillat entitled "Undelivered Mail". I thought it was perfect for a mini-challenge and especially at this time of year, where a certain reckoning takes place within many relationships. Happy Friday, Toads! Time for inspiration from a troubadour. Let's go again with this music prompt thing and see what kinda magic happens. "A lot of my friends go to therapy, but my family are reserved and I can’t imagine telling all my troubles to some stranger. I’m lucky that I have the outlet of songwriting. Though in songs you sometimes tiptoe around things so as not to hurt people’s feelings, writing songs is very therapeutic for me. I would vote for songwriting over therapy!" Sounds a lot like writing poetry to me. Don't you agree? I've chosen this song, "Strawberry Blonde," because, well, it's gorgeous, and also because it tells a story that is both simple and layered. I get something different from it with each listen. The song is from the record Other Songs, released in 1997, but this is a recent video recording. I think the words are clear int the video (at least compared with our last music prompt, sheesh), but if you have trouble, you can follow along with the lyrics here. "will you be my friend?" I wrote another poem today that I've linked below, just to get us started. My new poem is about seeing someone at a distance with whom you have history; there are many other ideas and images in "Strawberry Blonde" that could be jumping-off points for your own writing. Please enjoy this gorgeous music and story and join me in being inspired. I so much look forward to reading what everyone creates. 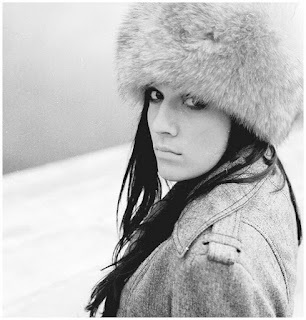 When Kerry offered to let me choose a member of Real Toads for my first cyber-interview, I chose photographer-artist-poet-cook-baker-wife-mother Ella of Ella's Edge because I like her style. I not only like her writing style, I also like the way she looks at life. Her outlook and enthusiasm are infectious—in fact, downright contagious. She might not have had all her wants handed to her on a silver baking sheet all her life, but, to use her phrase, she "bakes and makes" the best of what she's got—and that's a lot! This is what Ella has to say on “the gift of poetry”. 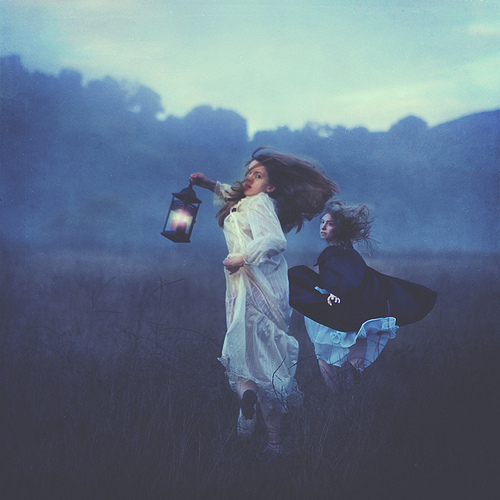 I think of photography as visual poetry, a frozen moment, a recaptured mood. I see poetry in a smile, in one's hands, in a caress. Poetry, for me, is a way to paint with words. Isn't that beautiful? And so is Ella. Kay: You recently said your favorite high school teacher thought some of his students should be writers, but you never thought it would happen for you. At what point in your life did you decide you were a writer after all? Ella: Writing re-entered my life in April 2010, when I joined the A-Z blogging challenge hosted by Arlee Bird. I found the challenge at the end of the first week in April. The idea is to blog a letter of the alphabet 6 days a week, with Sundays off. It was fate, I found this challenge. It forced me to come up with a theme for each letter. I thought my catch up post was clever. I went to the garden section of a home improvement store and did a combined post. I could have done the whole alphabet, but didn't. X was a real challenge, but I pushed through it. I met some amazing writers and made a lot of new friends. It was an eye-opening experience. This is when writing came more into focus for me. 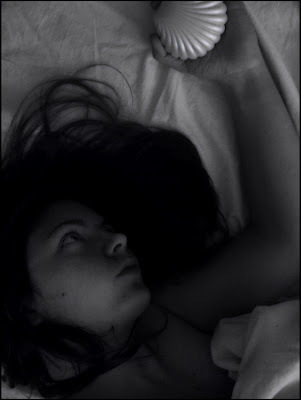 I did the 2011 challenge and I am considering writing poetry for the 2012 challenge. Kay: Do you think writers are born, or made? Ella: Ooh, good question. I am going to say both. I do think some people are born with a natural gift and others have to develop the skill, by reading, experiencing life, and writing. Kay: You sell your photos in your Etsy shop—have you considered using any of your poetry for Etsy items, in greeting cards, for instance? Ella: Actually, I am working on some craft ideas incorporating my poetry. I started a few journals. I would love to do cards, not sure how the response would be. I won't know till I try. Kay: Your response to Kenia’s challenge to write a poem based on a metaphysical question seemed (to me) effortless. Do you think the apparent effortlessness is part of your writing style? Or are you prone to thinking in a metaphysical way? Kay: On your blog’s sidebar, you say you’re considering culinary school. Is it still a serious possibility, or have you decided to be content with cooking up poetry instead because you do it so well? I’m not suggesting you can’t do both, so this doesn’t have to be an either/or answer. Ella: Thank you, I would love to make'n'bake a book! I still would love to go to culinary school, but I don't think it is in the cards. I have a business degree, but have always loved to bake. I started baking at age 7. I used to have a store on the weekend and sell my baked goods, to the kids in the neighborhood. I need a physical signed off for culinary school. I go every year to the Dr for the review, but I have a back injury that won't allow it. I guess cooking up poetry is enough for me. My kids tease me about putting a cooking show on Youtube. I'm still considering it, lol. What would my name be? The Poetic Pantry or perhaps Metaphysical Meals. I am now considering taking some writing courses to see where this may lead. Kay: I was so impressed when I read about you inheriting your mother’s extraordinary gift of recall. Does your superior memory help or hinder you in your writing? Ella: My memory is more autobiographical. I tend to remember things that happened with emotional impact, good and bad. I can remember in great detail, what I wore, who said what. It can be a help, but it also has haunted me a bit. Now, you mentioned your son has the kind of memory you inherited from your mother—are your children like you in any other way? Or are they like their dad? Ella: My son is writing poetry. I was so pleased and impressed, when he showed me some of his poems. He also is working on a book. He is still in college studying Industrial Technologies, so this part would be more like his Dad. My daughter is expressive in music. She has written a few stories. English is her favorite subject (more like Mom). I have noticed she has moments that remind me of my memory, so the deciding factor is still out. Kay: When did you start blogging? And why? When did you start contributing to Real Toads? And why? Ella: I started blogging in May 2009. I thought of it as a birthday gift to myself, a way to express my voice, my creativity. I had no idea where it would lead me. I joined Real Toads as a way to push myself. I think trying new things, sharing ideas is a great way to push through boundaries. I like being with people who understand and appreciate my efforts. I still need to go back and try some of those prompts that I hesitated to try. Kay: You are a college grad—what was your major? Why? And is it still of use in your life? Ella: I majored in Business Management, so not me. I am more the creative thinker, the marketing type. It was useful in my last job; I was an AssMan (think Seinfeld's lingo) Assistant Manager at a Curves facility. I loved my job, but I wasn't going to move up. The owners were the managers, all six of them. It was the best, worst job I have ever had. I loved the clients, and getting paid to work out, but trying to please all of the bosses, just dreadful. I didn't want a business degree, but my Dad talked me out of becoming a starving artist (his words). To find out more, click on this link to Ella's November 17 post on the subject “Who Am I?” In my humble opinion, it answers questions about Ella that I might never think to ask. 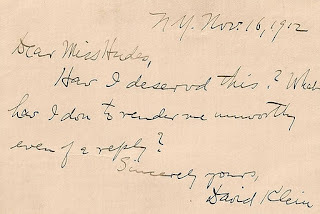 In interviews, one is often asked to name an author or character one would most like to meet. I’m asking you to write him or her a letter. Epistle is a poetic form that dates back to ancient Rome. 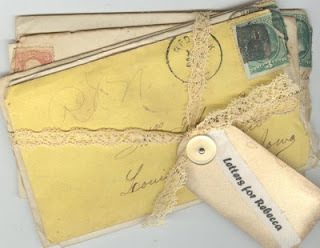 The term comes from the Latin word epistola, which means letter. Thus, this poem is written in the form of a letter. It was used to express love, philosophy, religion and morality. Most people who think of epistles think of the Bible. Many of the books in the New Testament are epistles, especially the Epistles of St. Paul. 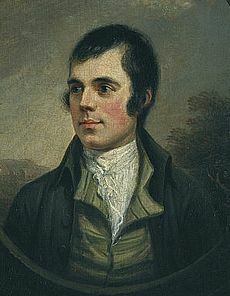 The poet Robert Burns also frequently wrote epistolary poetry, as have many others. There are no meter or rhyme requirements for an epistle. Epistle is more a form of voice and persona. A poet can address their epistle to a real or imaginary person and express their views or take on the character of a different writer. The wonderful quality of an epistle is that it can be such a freeing form. The tone can be formal or use very personalized voices. The poems can be many pages long or as short as a post card. Read the full article, with examples HERE. 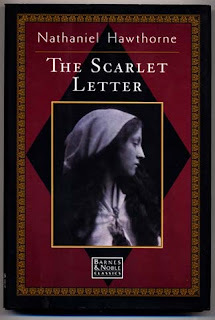 Our challenge is to choose a character or characters from literary history: a fictional character or the person of a poet, author or artist, and write a poem in letter form (or a letter in poem form). 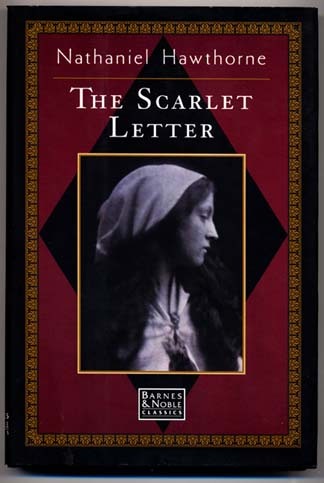 You may choose to write from one character to another, such as Heathcliff’s unread letter to Cathy before he absconded, which he might have left under a rock on the moor. What would he have said to her? 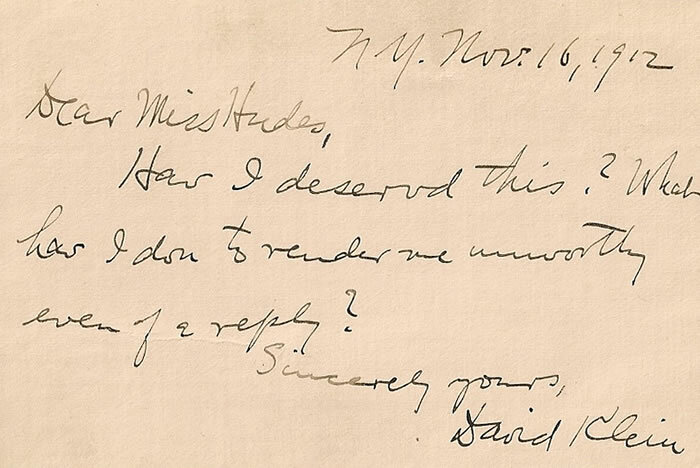 There is certainly a precedent for letter writing within literary circles. One immediately thinks of John Keats impassioned letters to Fanny Brawne, or Dylan Thomas's lyrical love letters to his wife, Caitlin. The Epistle takes into account the voice of the writer and the identity of the receiver. All the rest is poetry. This challenge may take some time and thought, but remember that the link will remain open for those who wish to add poems later in the week. The inimitable Fireblossom issued me the second Personal Challenge here at Toads (do I hear the collective sigh of relief from the rest of you Toads that you don't have to compose a poem to follow her 2 jewels of the previous week? I thought so!) My challenge was to choose a song about which I felt strongly and write about my associations to it. After several days of mouse-like concentration, I finally decided upon "Silent All These Years" by Tori Amos. This song speaks to me about a part of myself that somehow got lost during my years of focusing on my career and early motherhood. 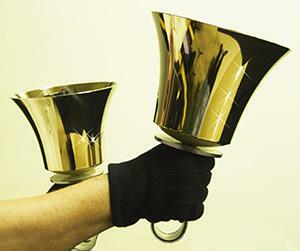 Welcome to this week's open link, where anything goes: link a poem old or new. All are welcome to share their work, but we ask that you support the work of other poets whose links appear along with yours. I have been freshly inspired by several poems linked to our Imaginary Garden which have recalled the classics of poetry and literature. For our Sunday challenge, I have selected the Emily Dickinson ballad stanza. 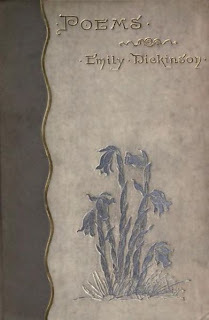 Emily Dickinson preferred the structure to be found in ballads, returning to this ancient traditional verse form of the Middle Ages for much of her poetry. Each stanza or quatrain alternates lines of iambic tetrameter (8 syllables) and iambic trimeter (six syllables), with an ABCB rhyme scheme. Dickinson's stanzas were not always in strict iambs, though she retained the syllable count, so do not feel daunted about checking to see if every second syllable is stressed. She often used slant rhyme on lines 2 and 4, rather than full rhyme, which is consistent in the consonants rather than the vowels. This can be seen in poem # 339 below. Dickinson's poems might consist of between one and six stanzas and her use of punctuation was idiosyncratic. He questioned softly 'Why I failed'? 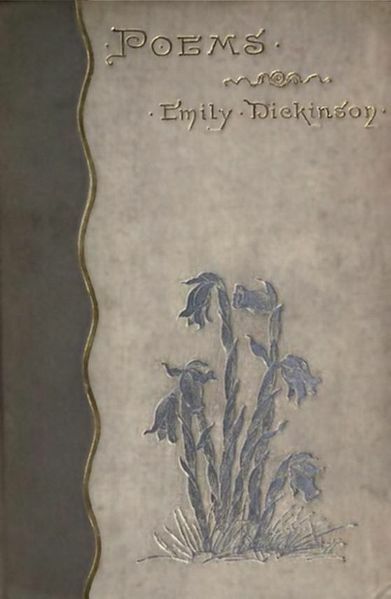 Emily Dickinson was in a class of her own; she defied convention and reinvented this form to such an extent that it has become recognizably her style. Is it possible to emulate her style without turning it into a parody? Let's give it a try today. The link below will not expire, so poems may be linked up later in the week. Hello Toads and Toad followers! I'm Shay Caroline, also known as Fireblossom of Shay's Word Garden. Listen, I was just sitting here on a toadstool (of course! where else?) minding my own business, when Kerry handed me tap shoes and a top hat and shoved me out here on stage! Well all right...I think I'll call this Fireblossom Fridays! My sudden arrival (thanks, Kerry! Geez, I think her hand prints are permanently imprinted on my back!) 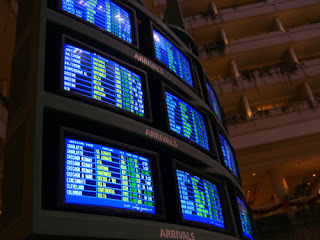 gave me the idea for today's theme: Arrivals & Departures. Where might a girl like the one pictured at the top of this post be going, and why? Create a post based on any of these photographs, or one of your own, on the theme of arriving or departing. Link back to Real Toads. Sign in on Mr. Linky so that we can come and see. And, finally, please try to comment on at least three others. That's it! I look forward to visiting everyone who participates! As for now...hello, I must be going!